Don’t have time to do your laundry? Don't you have better things to do with your time? Don’t have the time or energy to do your own laundry? 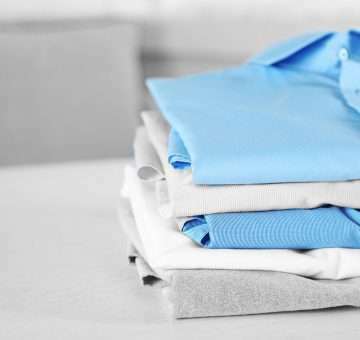 Put your time to better use by utilising our complete laundry service in Perth, which includes a wash and iron service and a laundry folding service. Free yourself from the weekly wash, dry and fold grind by bringing your laundry over to Ad Astra Wet & Dry Cleaning (or make use of our pick-up laundry service) and let us lighten your load with our expert wash, dry and fold service. We can perform a next-day laundry service with a touch of home style wash, dry, and fold in Perth with our textile and laundering expertise. We also offer value-for-money options to suit your specific needs, whether you’re single, a busy working professional or if you require a family laundry service. We have comprehensive options designed to cater to your individual needs and to make your life easier by saving you time, effort and money – and eliminating the need for having (and maintaining) a washer and dryer at home. Also, you no longer have to worry about dropping off or collecting your laundry with our latest offering that features a pick-up and drop-off service. Doing laundry is now simpler than ever.